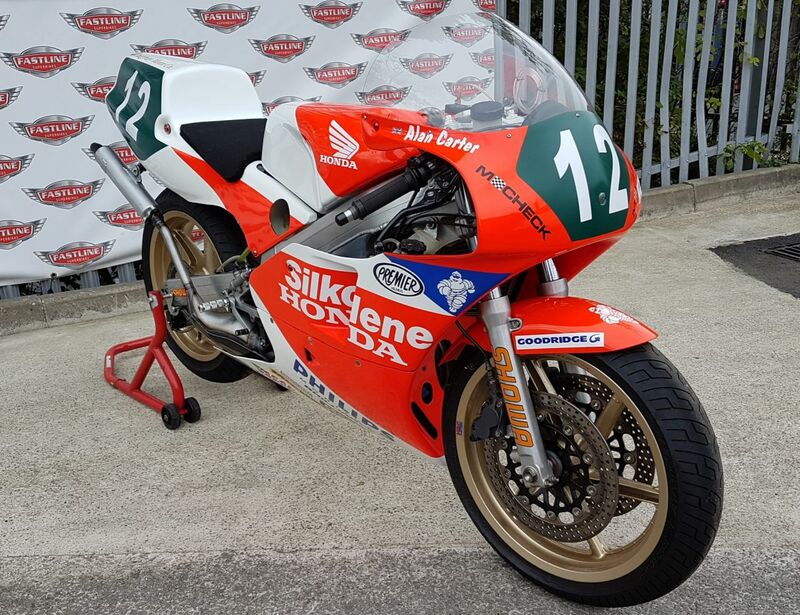 Fastline Superbikes are pleased to offer this outstanding Honda RS250 RF 1990 model. In full working order and kept in a private collection by currant owner for many years. Been meticulously maintained and frequently paraded in the Isle of Man G.P. Parade and Festival of a 1000 Bikes at Mallory Park. Very well set-up by ex G.P. rider Kevin Mitchell. 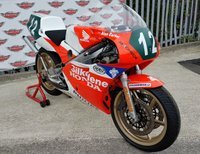 This 1990 V twin Honda NF5 road race machine has beam section alloy chassis & swing-arm, 2 stroke, 80bhp. In full working order. Ridden by well known ex G.P. contender Alan Carter.